New Orleans Maybe it’s personal. Several weeks ago, I had a root canal. It’s shocking how much those bad boys cost, and talking to a friend in the northeast, he had to pop for another $500, so I guess it’s time to stop my whining. On the doors last week though it wasn’t personal. One of my comrades cracked wise, as we were debriefing, that we needed to keep some kind of teeth-to-tattoo count in order to figure the ratios. I laughed then, but the next day in Akron the first three doors my team hit, the count was zero teeth on the first two (with some tattoos!) and ten or so in the front on the third door with three or four tats. Why don’t we do better in making sure low and moderate income families have dental care? · More than 35 million poor children are entitled by federal law to dental benefits under Medicaid, but more than half go without care. Fewer than half the nation’s roughly one hundred fifty thousand working dentists participate in the program. · Approximately 49 million Americans live in communities that are federally designated as dental professional shortage areas. · Among U.S adults who struggled with unpaid medical bills, 12 percent reported dental bills made up the largest share of the bills they had problems paying, a 2015 survey found. · Medicare, the nation’s health care program covering roughly 55 million elderly and disabled Americans, does not cover routine dental services. · Nationwide, a total of 61,439 hospitalizations were primarily attributed to periapical abscesses during the nine years between 2000 and 2009. · one-third (31 percent) of white toddlers and primary school–aged children (aged two to eight) have decayed teeth, the disease afflicts closer to half of black and Hispanic children (44 percent of black children and 46 percent of Hispanic children). And minority children are twice as likely as white children to go without treatment for the decay. You get the message. Otto’s book makes it clear that the dentists bear a huge share of the responsibility here. They make more per hour than doctors. 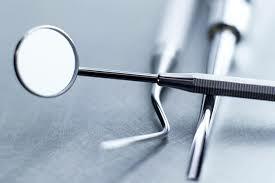 They have fought allowing dental hygienists doing more, including in public schools. They recommend costly procedures, rather than sealants. They opposed expansion of dental benefits in the original Medicare legislation. They drug their feet until the 1970s to integrate their state associations and, as you can see, they still do not provide service equitably to non-whites or those on public assistance. This entry was posted in Ideas and Issues and tagged dental care, healthcare, poverty by Wade. Bookmark the permalink.